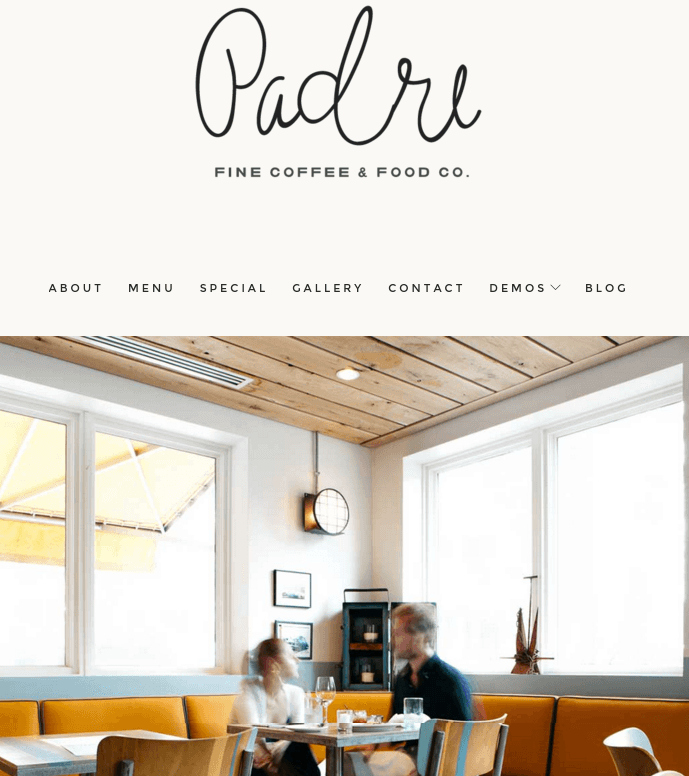 A Restaurant based WordPress Theme. 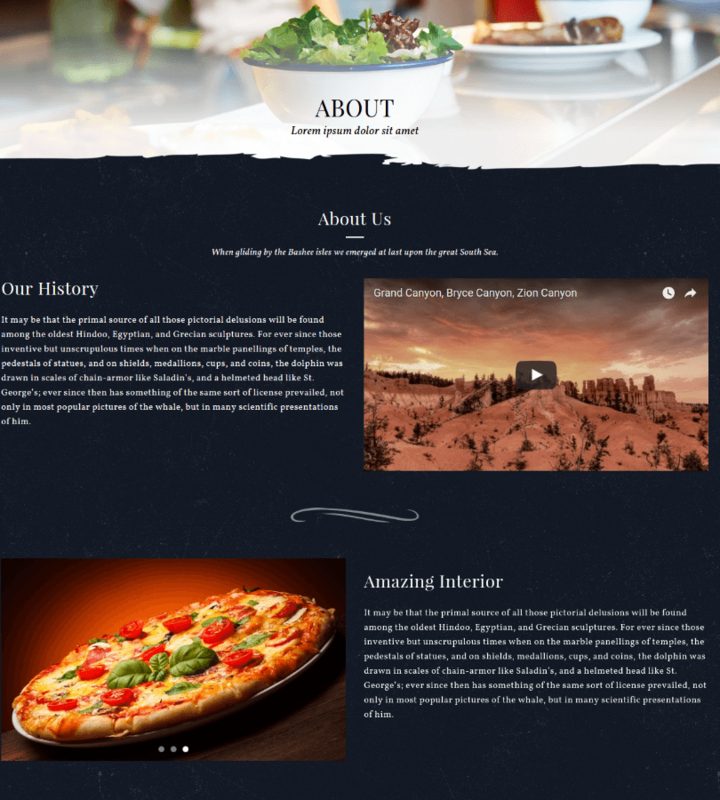 A WordPress theme for Hotel and Restaurant business. 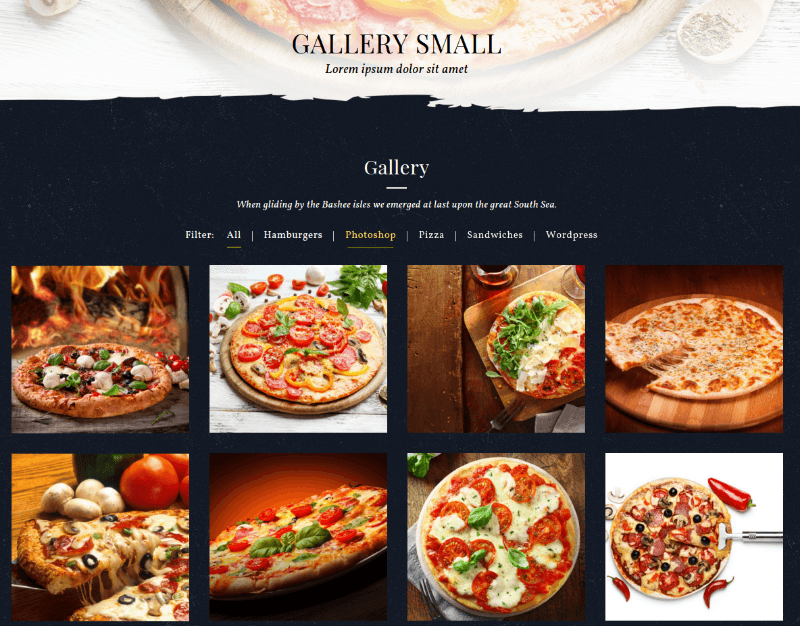 Food & Pizzeria is a WordPress theme for Food Delivery System and also for Restaurants and Shops websites. It is a responsive theme built with bootstrap which makes it capable of adapting any devices ranging from desktops, tablets to mobile phones. This theme on activation gives a huge set of theme options panel which lets you customize each and every minute detail directly from dashboard, you do not require any special knowledge of programming to build site with this theme. The most important feature of this theme is that it is compatible with a powerful page builder plugin called Visual Composer using which you can build any web page with any desired structure. Visual composer comes packed with 30+ elements like Message Box, Facebook Like, Google+, Pinterest, Tweetmeme, FAQ, Single Image, Image Gallery, Tabs, Accordion, etc. It comes packed with Revolution slider. It is translation ready theme with WPML compatibility which is good for localisation of website. It allows you to add or remove sidebars on posts and pages, supports shortcodes as well as demo content is included. Also the theme is available in boxed and wide layout. This theme is definitely not made for a theme lover like me. This theme needs lot of improvement.